I've wanted to make some jewels for my dolls for quite some time but didn't know how or what form to give them...Then I found some videos on youtube about jewels made by Dale Armstrong with the technique of wire wrapping and was amazed by what she could do with some silver and gold wire. So I decided to give it a try. 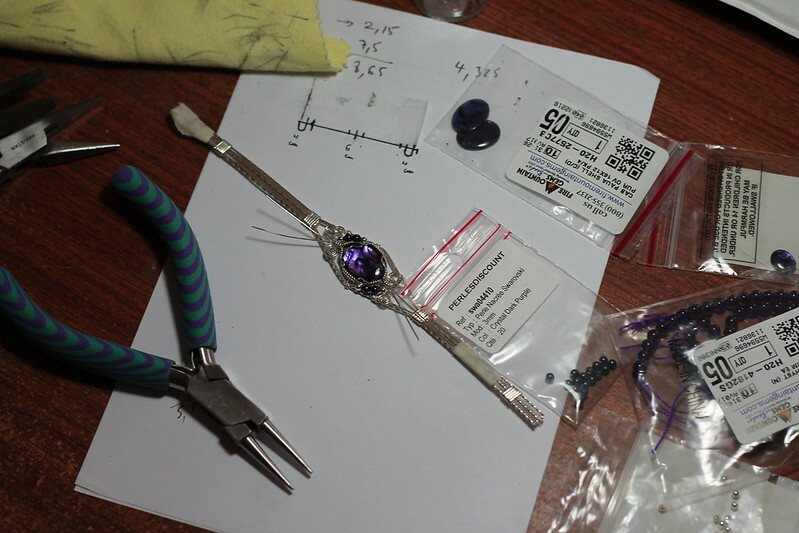 The photo shows a tiara I'm making with sterling silver wire, a Paua shell cabochon, silver and Swarowsky beads. Wow- I'd love to give this a go! Bibarina, go ahead. Just do it if you feel like it. You'll see it's not that complcated. There are lots of books available and many step by step videos on youtube. Here I followed Dale Armstrong's instructions as this is my first try. The piece varies a little from the original design. 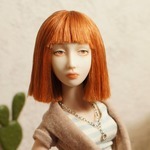 I had to make a lot of calculations too as it's originally designed for humans and not dolls! The scale is obviously not the same so you can't really use the same gauges and think smaller. I agree! It takes practice, but it's rewarding. Fawkes, you did a great job wrapping that stone. It looks very professional. I'd love to see it on a doll once you're done! I've planned to make a few pieces of jewelry for the three dolls I'm working on (crowns, a necklace and earrings); of course I'll post pictures when they're finished. You're right Allurose the stone gave me a hard time - lol But I think it was worth the time I spent on it. It looks fabulous! I can't wait to see all your pieces finished. I will definitely give it a go at some point, so thanks for the pointers. That is beautiful! I like the looks of wire wrapped jewelry ^_^ I hope we can see this piece on one of your dolls soon! Very pretty and looks like so much work.